Our hotel offers a full range of services related to the organization of all kinds of meetings. 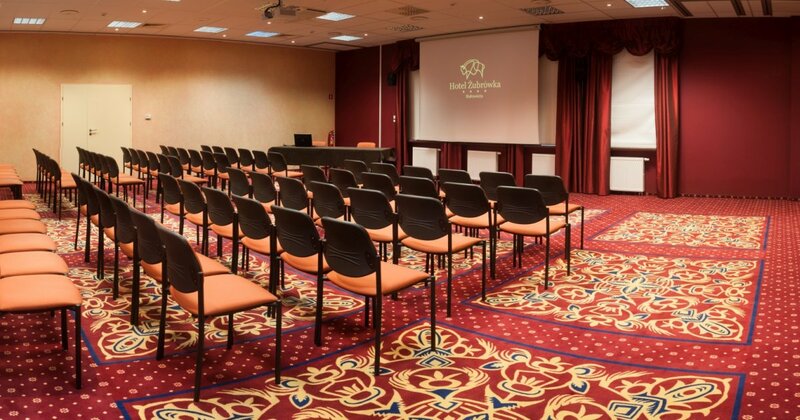 Our multifunctional rooms are ideal for conferences, symposia, banquets or special attractions. Customers have at their disposal 4 rooms varying in size from 52 to 150 m2 and a height of approx. 3 m. There is a possibility of combining them, enabling the surface to reach 470 m2. It gives the possibility of organizing a conference up to a maximum of 450 people. In addition, we provide Oranżeria with an area of 75 m2.